Last year, at an event inside David Adjaye’s Sugar Hill affordable housing development in Manhattan, AN asked New York City Mayor Bill de Blasio how architecture and design factored into his overall housing plan. The mayor—who doesn’t elevate public design the way Michael Bloomberg did—said he wants to see new affordable housing buildings that are both “beautiful” and “contextually appropriate.” But, he added, design is about more than aesthetics, it is a tool to be wielded to create dynamic, mixed-use properties. “I think the design question really is about, to me, the functionality—meaning, what we can achieve in a site,” said the mayor. Now, roughly eight months later, the Department of City Planning (DCP) has unveiled zoning changes to make it easier and cheaper to develop the type of affordable housing the mayor was talking about—buildings with function and architectural design. And by rewriting the rules, the de Blasio administration thinks it has a better shot at delivering the 120,000 new units of affordable housing it has promised. First, the city addresses burdensome parking requirements for affordable and senior housing developments. Within a so-called “Transit Zone”—areas in Upper Manhattan, the Bronx, Brooklyn, and Queens that have good access to mass transit—the city will eliminate parking requirements for senior housing and low-income or inclusionary housing developments. And, on a “case-by-case” basis within this zone, the city could slash parking minimums for new mixed-income buildings. Outside of the zone, the city says it will “simplify or reduce” parking requirements for affordable housing and senior housing. 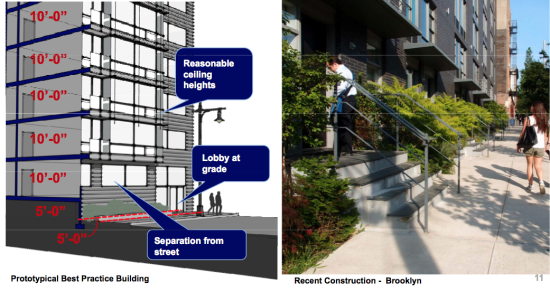 On the design front, the city hopes that updating “Contextual Zoning” controls from 1987 will give rise to less generic housing.“The tightness of contextual zoning controls constrain housing production and raise costs, and too often results in buildings that are flat and relate poorly to the street,” the DCP said in its report. 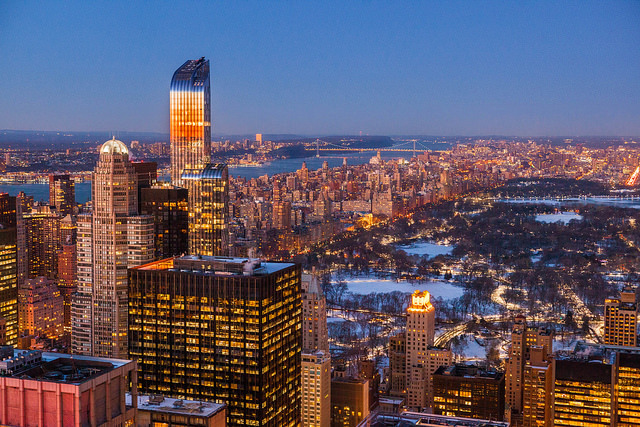 A lot has changed in the AEC world since the 1980s and the city wants to allow designers and builders to take full advantage of all their new tricks and tools. 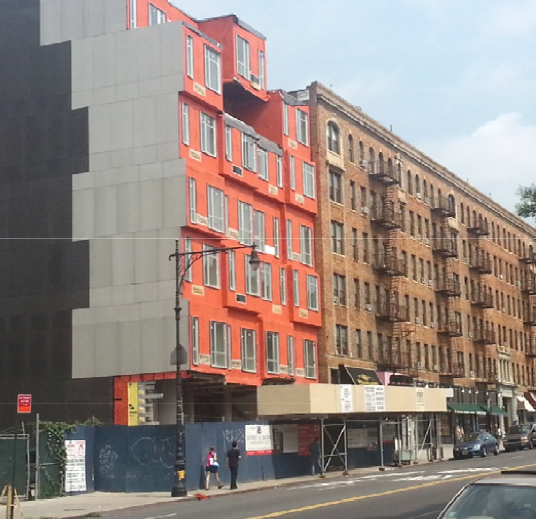 This could mean more buildings like The Stack (above), a modular building in Inwood that was designed by Gluck+ and assembled in less than a year. Boosting height limits would also open up more interesting massing and programmatic options with possible building setbacks and courtyards, and ground-floor retail and community spaces. As for building facades, the DCP only lays out some vague bullet points about how it will “update and clarify regulations to support traditional types of building variation” and “make transparency and design requirements consistent” for ground floor spaces. While this package of proposals has the potential—again, the potential—to create more architecturally interesting buildings, it is ultimately a means to make it easier to build and develop affordable and senior housing. The DCP expects to kick off a public review of its plan this summer.